Looking for a great way to relax and take away a bit of stress? 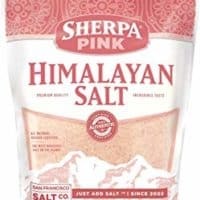 This pink Himalayan salt bath recipe is just what you need. I'm always in love with the idea of taking a nice, warm, relaxing bath. Who isn't, right? After a long stressful day, it's like the tub is calling my name. Pair that up with some calming music and low lighting and there's a possibility that I won't be coming out for quite a few hours. But what I love most is that I can make this recipe 100% on my own. To me, there isn't anything truly more relaxing than that. I love knowing that I'm taking care of my body mentally and physically, and this salt bath recipe does just that. Keep it for yourself and or consider making it and gifting it to others…the choice is up to you! 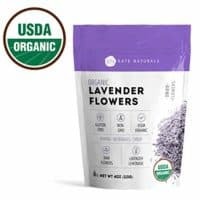 A bath soak is simply an ingredient or combination of ingredients that you add in while running the warm water. It makes a relaxing time in the tub even more enjoyable and beneficial by providing a skin, muscle, and stress soother. 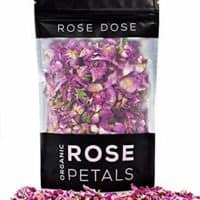 There are many different bath soaks you can use to create a more luxurious experience and to treat a variety of skin or muscle soreness issues. Bath soaks can provide numerous benefits for both your body and mind. Salts, in particular, are ideal for soaking. They can relieve a range of skin issues, like eczema, dry skin, athlete’s foot, and psoriasis, just to name a few. Itchy skin due to bug bites, cold weather, and even poison ivy can be soothed with a bath soak. As if simply taking a warm bath isn’t calming enough, a soak can actually help heal a sore body. Another benefit is how well it can aid in the calming and soothing of sore or tense muscles. It’s a great way to reduce inflammation and relax stiff joints. 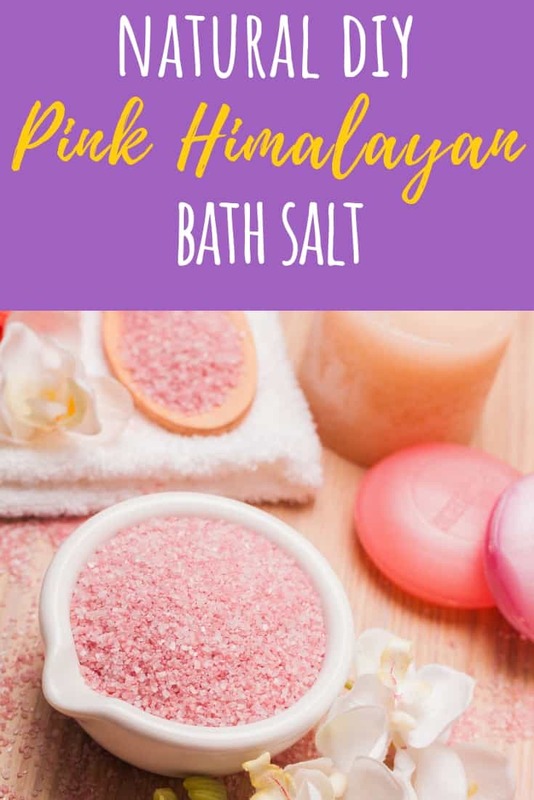 There are so many Pink Himalayan salt benefits that you can take advantage of when using it as a bath soak. It acts as a detoxifier, helping to draw out impurities. It leaves your skin feeling soft, smooth, and revived. 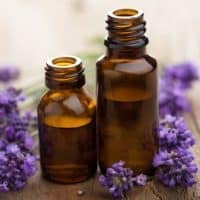 If you’re suffering from a common skin condition like acne, psoriasis, or eczema, the affected area will feel soothed and the irritation and itching will be reduced. 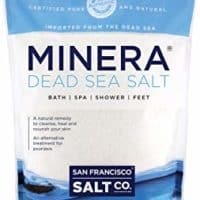 Dead Sea salt is rich in minerals, especially magnesium, making it a powerful anti-inflammatory. This is ideal for a soak if you’re suffering from sore muscles. It works as an excellent exfoliator, helping to remove dead cells that leave your skin looking dull. When it comes to bath soaks, just a little can go a long way in the warm water. Adding a cup of the salt of your choice along with drops of essential oils is enough to create a soothing soak that you can luxuriate in. 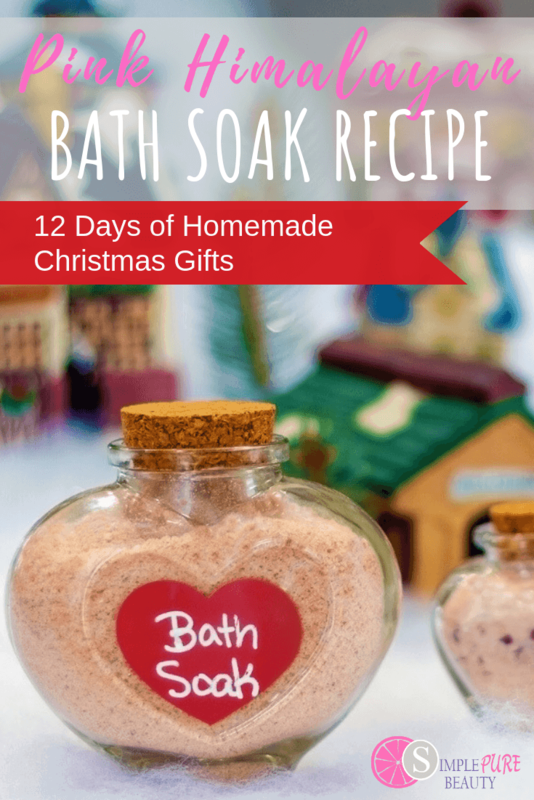 If you make a large batch of bath soak to give out as gifts, you can include a small scoop with each jar. Then the recipient can add as much to their bath as they like. If you’re wondering what to add to a bath, we’ve got a simple solution that you’ll love. 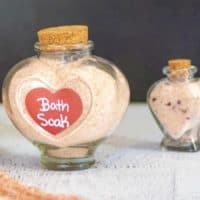 Our DIY bath salt recipes make it easy for you to unwind while giving your skin the spa treatment right at home. You can also give it as a homemade gift for any occasion. It’s simple, incredibly affordable, and so beneficial for your well-being. 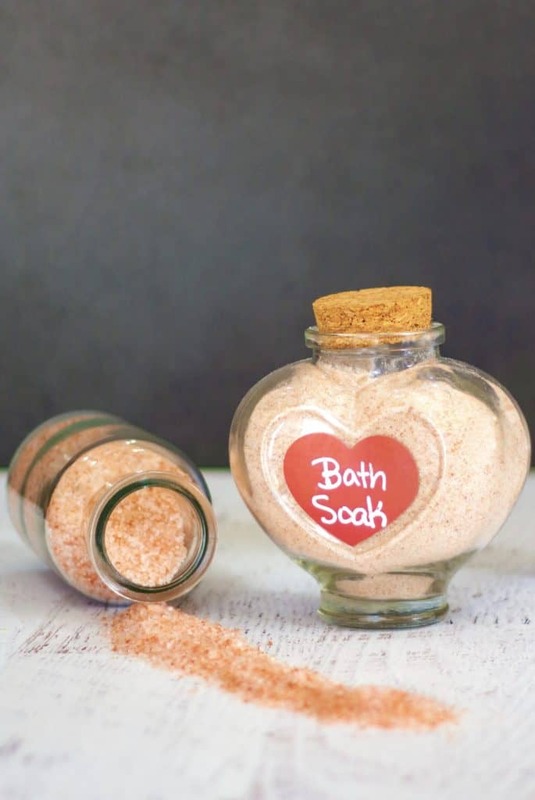 Creating your own Pink Himalayan salt bath only requires only a few basic ingredients. In a large bowl, mix together Himalayan Salt and Dead Sea Salt until fully combined. Add essential oils and mix until thoroughly combined. 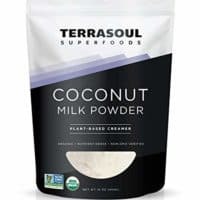 If adding flower petals or milk powder, do so now and mix thoroughly. Sprinkle salt with Baking soda and mix in. Bottle or jar salts. I got the heart shaped jars at Hobby Lobby. « 8 Homemade Milk Bath Recipes You’ll Love!